Report on work that may or may not be complete. Introduce new ideas to the community. State positions on controversial issues. As such, they provide an excellent opportunity to present new work and receive early feedback from the community. We particularly encourage submission from conference participants that would not otherwise present their work at the conference. Submissions should be at most two pages, formatted using standard two-column IEEE format. They are refereed primarily based on their relevance to the conference. 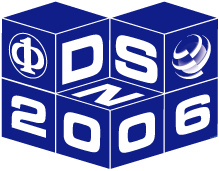 Accepted Fast Abstracts will be published in the Supplement of the 2006 International Conference on Dependable Systems and Networks. All participants in this track will have an opportunity to present a poster and a 5 minute talk, plus 1 minute for questions. Submission of a paper to the track signifies an agreement to have one author present the work at the conference. Go to Fast Abstracts submission page.